« The Chickens are on a Hiatus…again. 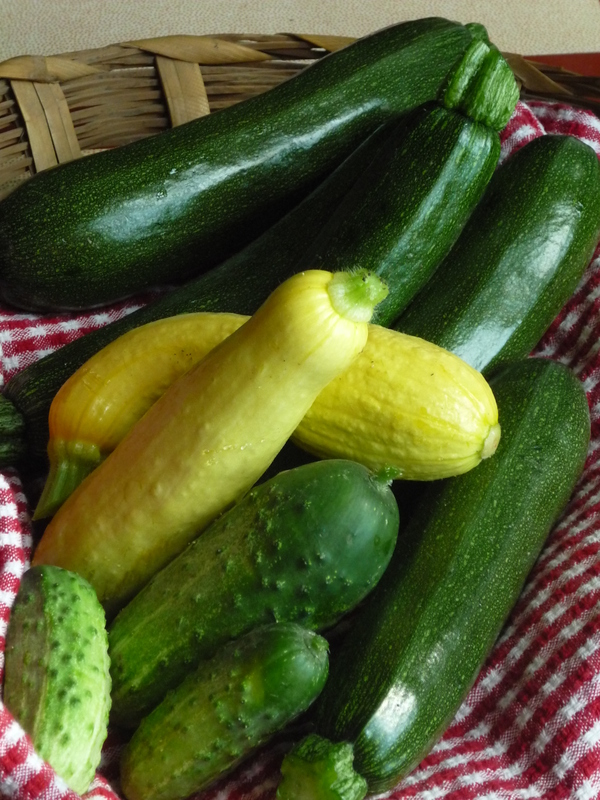 Right now they are trickling in; enough for the CSA members, and ourselves. But this time next week we’ll be swimming in them. So if you’re interested, let us know! 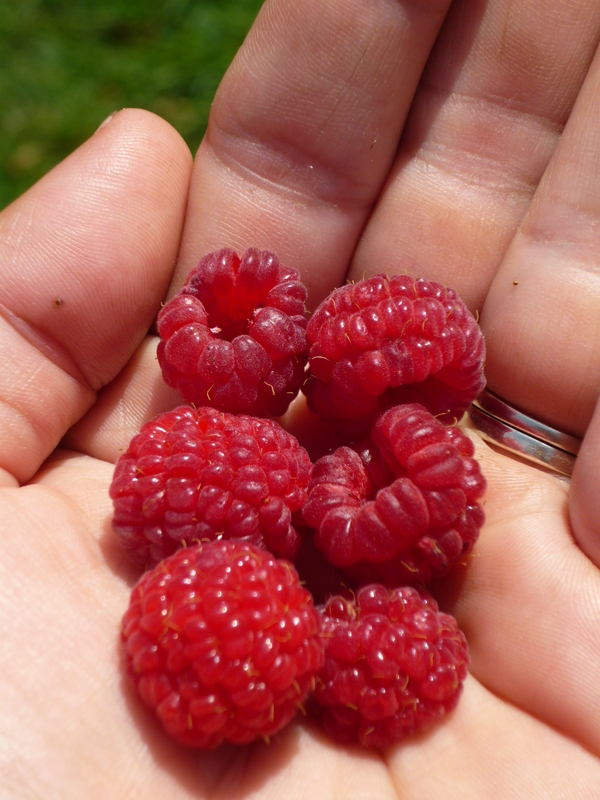 We’ve also got raspberries….ooooohhhh the raspberries. Sadly, between the birds and bugs, we only have a handful everyday. But what a treat it is on the way to the garden! Someday, we’ll have enough to share. 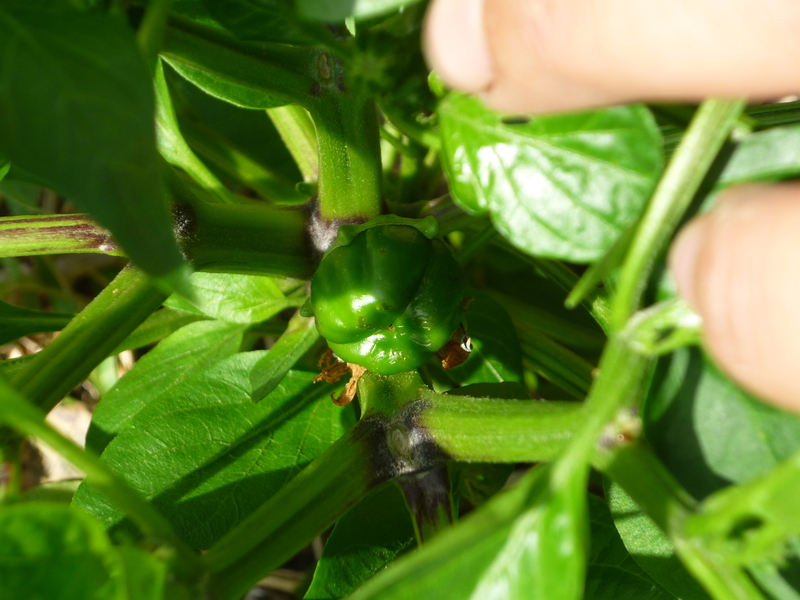 The peppers are starting. Below is a green bell. Yum! 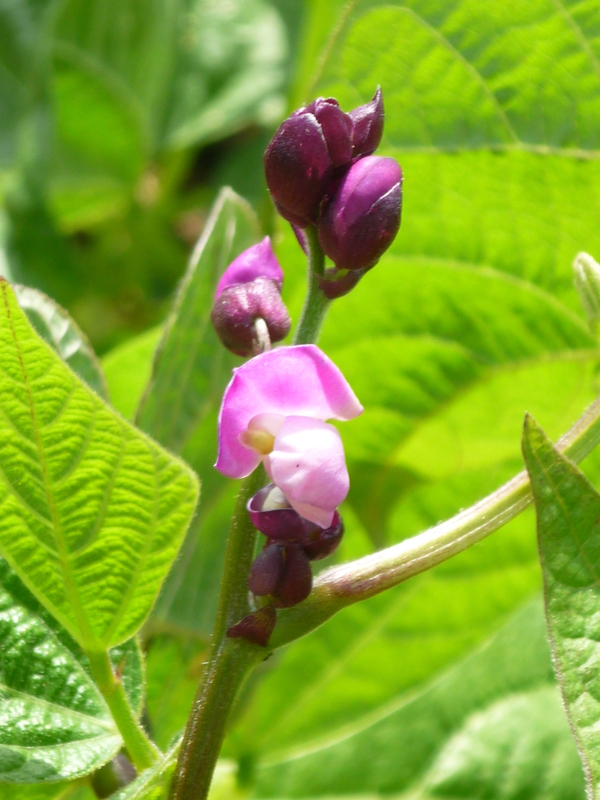 Our beans are climbing, and the purple one’s are actually flowering! 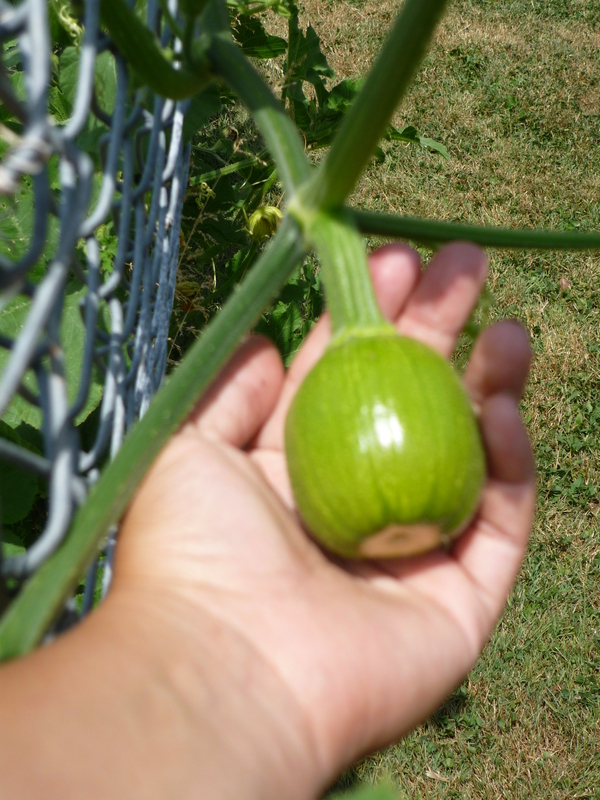 This has the be the earliest pie pumpkin I’ve ever grown. 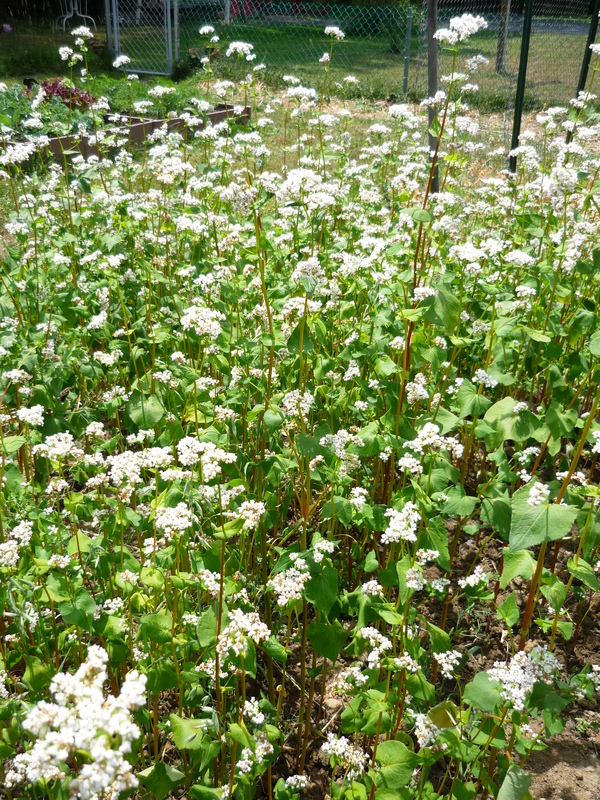 Our buckwheat cover crop almost ready to till in. I’m running out of room, so I need more beds! The onions are looking hardy! 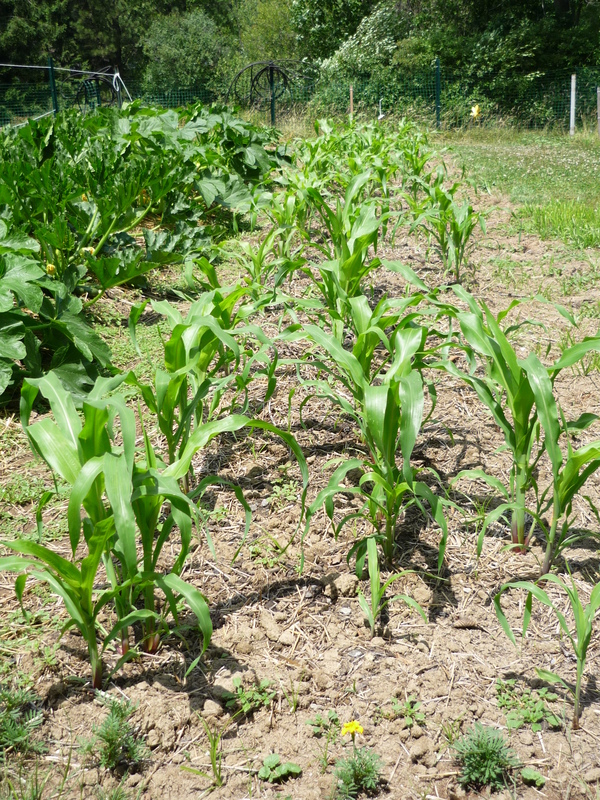 Knee-high by the Fourth of July? Oh, yes. 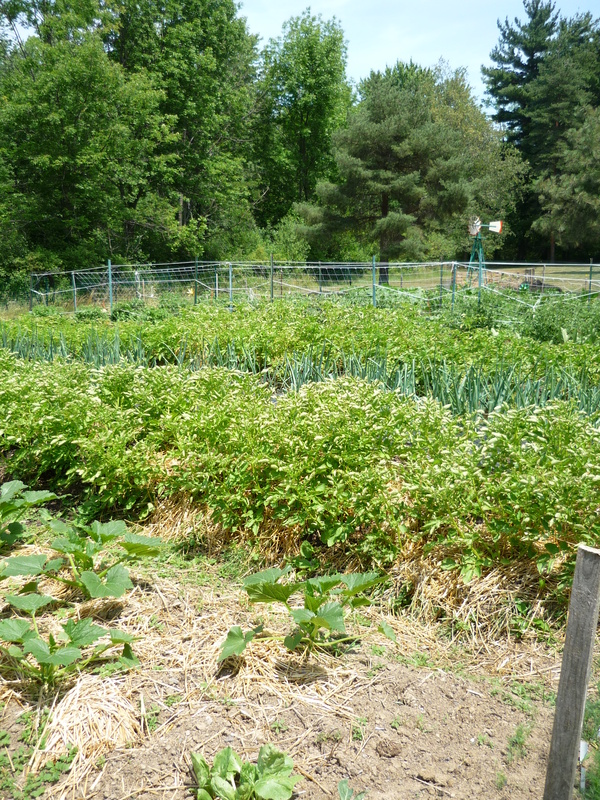 Things are beginning to look lush around here! It’s most definitely summer! lovely bunch of coconuts…woops wait until I put on my glasses….WOW!! what an awsome sight…. on June 27, 2012 at 8:28 pm | Reply Heather I.
it all looks so wonderful!!! !